Kelly Park features a free-flowing natural spring (68 degrees year round), full-service concession, picnic pavilions and playground. Tent and RV camping are available at this park; for more information, see the website. 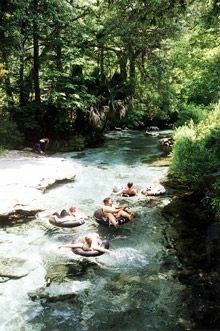 Spend a hot summer day with family and friends tubing and swimming at Kelly Rock Springs.